An upper endoscopy, or EGD, is a gastroenterology procedure where Dr. David Yamini, uses a thin scope with a light and a camera at the end of the device, to look inside the upper digestive tract. An EGD, allows Dr. Yamini to look at the esophagus, stomach, and the beginning of the small intestine. An upper endoscopy is commonly done in conjunction with a colonoscopy, or lower endoscopy. Both are out patient procedures, that are able to identify and treat abdominal disorders or even abdominal bleeding. Some people ask us if an X-ray can take the place of an upper endoscopy. It’s a great question. However, upper endoscopies are more accurate than x-rays and more accurately detect unusual growths or cancer. An endoscope also allows Dr. Yamini to provide treatment. For example, polyps, tissue growths, can be found and then removed and later biopsied. If an area within the stomach or esophagus is too narrow, a balloon or stent can be used to stretch the area. Any items causing blockage can be removed and any bleeding due to ulcers can be treated. 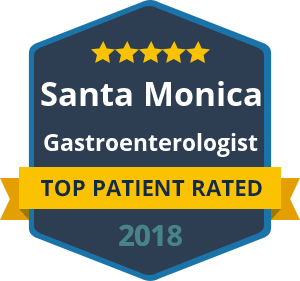 Dr. Yamini is a skilled, compassionate, and expert gastroenterologist in Santa Monica. It’s important to let Dr. Yamini know if you are pregnant, have heart or lung conditions, or are on any specific medications. It’s important not to eat or drink for anything for 8 hours prior to your procedure. Any medications taken regularly, should be discussed with Dr. Yamini. Most medications for high blood pressure, thyroid or heart conditions can be taken with a small amount of water. If you are diabetic, please discuss and bring your diabetes medication with you to your procedure. An upper endoscopy does require sedation, which can make you drowsy, dizzy, and may impair your judgement. All patients must have someone drive them home after your procedure. If you have questions about having a upper endoscopy or EGD or would like to see Dr. Yamini, of Westside Gastro Care, call our office today for an appointment (310) 285-3005 or contact us here with your preferred appointment time and date and our staff will call to confirm.